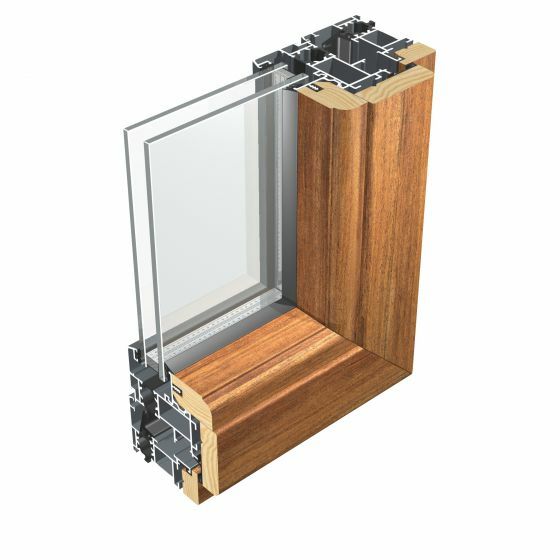 The 50 Iwood series was designed to obtain aluminum-wood window and door frames with high performance characteristics, combining the pleasant appearance of wood with the sturdiness and zero-maintenance typical of aluminum profiles. With this system, commercial accessories of the best brands can be mounted. Particular care was paid in assembling the hinges: a specific Aluk accessory guarantees their correct and sturdy mounting, thus ensuring the correct handling of heavy and large windows.